Now that Lin-Manuel Miranda has written a true musical theatre game-changer in Hamilton — which re-fashions the story of a key founding father in American history as a contemporary-sounding rap musical that is the biggest sensation currently playing on Broadway — it is inevitable to look and listen to In the Heights, his first and more intimately personal Broadway tribute to his own streets in upper Manhattan’s Washington Heights, in an all-new light. You can hear lots of echoes in the dense overlaying of musical themes and the heavy use of rap influences, though Hamilton riffs on them in even more sophisticated, stylish ways. 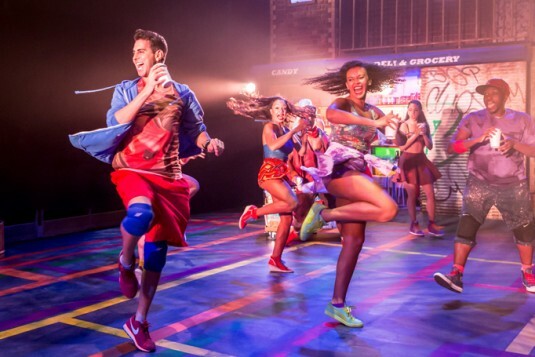 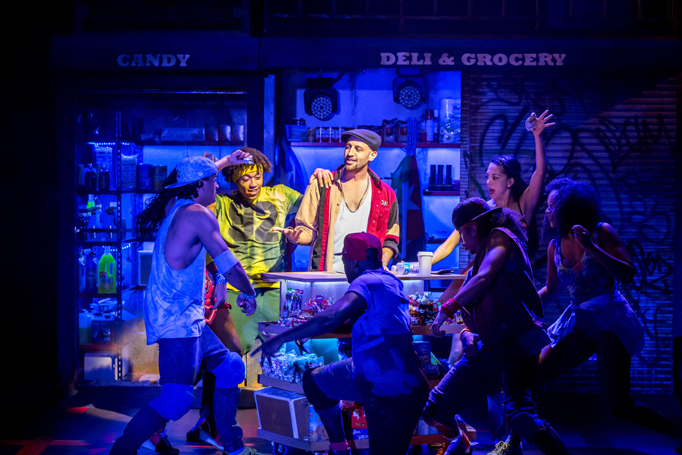 In the Heights, by contrast, is a big contagious hug of a show that grabs its characters with palpable affection and love, and stirs them into a giddy, gorgeous portrait of a real community on the cusp of irrevocable change. First staged on Broadway in 2008, where it won the Tony award for best musical and best score, it came to London’s Southwark Playhouse last year in a stunningly danced production, which fairly threatened to burst out of the confines of that 200-seater space. 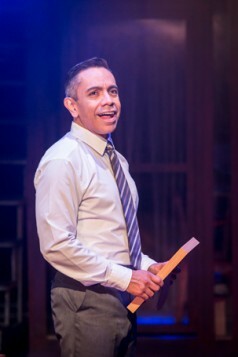 Now it has, and been relocated to the purpose-built, Olivier-eligible King’s Cross Theatre, shrunk from the 1,000-seat configuration it takes for The Railway Children (with which it will run in rep) into a more intimate 500 seater, and a new kind of thrilling energy is released in the traverse arrangement. 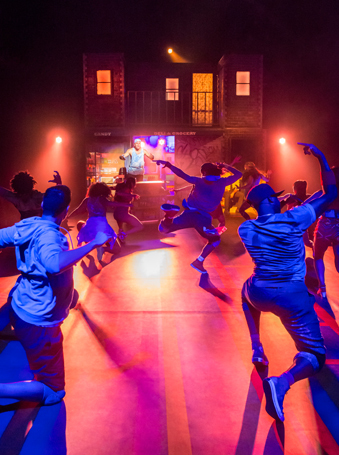 Once again the genius of choreographer Drew McOnie draws on street dance to make it both highly disciplined and intricately inevitable; the fluidity of movement is simply amazing. 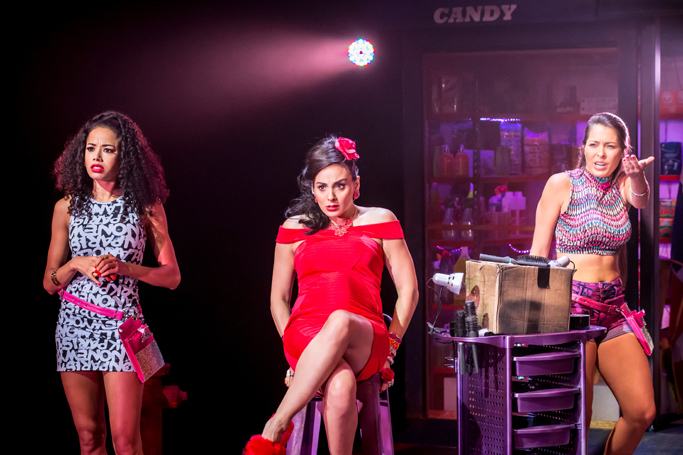 The dance ensemble is a major piece of the theatrical jigsaw created, but every principal is stylishly propelled into movement, too, even the heavily pregnant Victoria Hamilton-Barritt as the hairdresser selling her business. 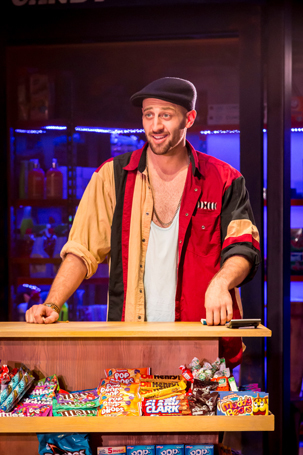 There’s also a corner convenience store, presided over by the narrator-like figure of Sam Mackay’s charming Usnavi, and a cab despatch office, run by David Bedella’s Kevin. 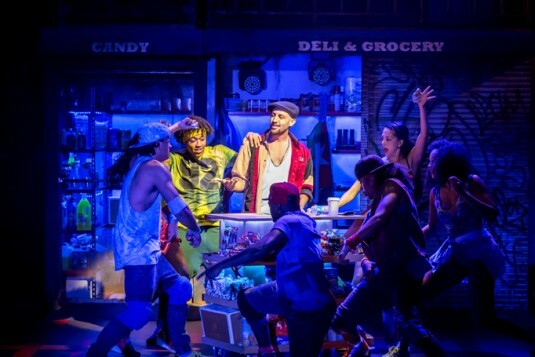 These are just some of the various characters brought to compelling life, and if Quira Alegria Hudes’ book sometimes both overpopulates the landscape and feels formulaic, there’s such energy here that you are utterly swept away.